Last month, we were fortunate enough to be joined by Mark Bone-Knell and Kate Symons, co-founders of Bone-Knell Symons Intellectual Property at our monthly breakfast. We were given great insight into the world of intellectual property and how it varies within the GCC, as well as what options we would have to protect our inventions, brands, copyright and designs for various business types. A company registration is not the same as a trademark registration and will not protect you (as far as intellectual property law is concerned) if a third party seeks to use or register the company name as a trademark. The UAE and the Middle East in general offers little protection for unregistered rights. You may be using a different name as a trade mark for many years, but without registering it as a trade mark it will be difficult, if not impossible, to prevent a third party from using that same (or confusingly similar) name or opposing its registration as a trade mark. Registration is key in the GCC region! There is no worldwide trademark. The European Union can be protected as a whole in the form of a Community Trade Mark (CTM) as can many African speaking countries applying for an OAPI (French for African Intellectual Property Organisation). It is also possible to apply for an International Registration (IR). The IR is a streamlined application process and offers a range of national rights. In the GCC and in many Middle and Far Eastern countries, it is necessary to provide a Power of Attorney. Often, this requires notarisation and legalisation and this is a process that can take time - up to several weeks. Applicants should bear this in mind as usually, the Powers of Attorney are needed at the time of filing. Enforcement of trademarks can be carried out through a civil action for trademark infringement in the Dubai Courts. While DIFC is only applicable to contract law, IP disputes are litigated in the Dubai Courts. The Department of Economic Development (DED) in Dubai will, with a trademark or copyright registration certificate, accept written complains and will (if approved) carry out raids to remove any counterfeit goods. It is possible to record a trademark registration certificate with Dubai Customs and by doing so, they (with some training from the trademark proprietor) will look out for potentially counterfeit goods being imported. 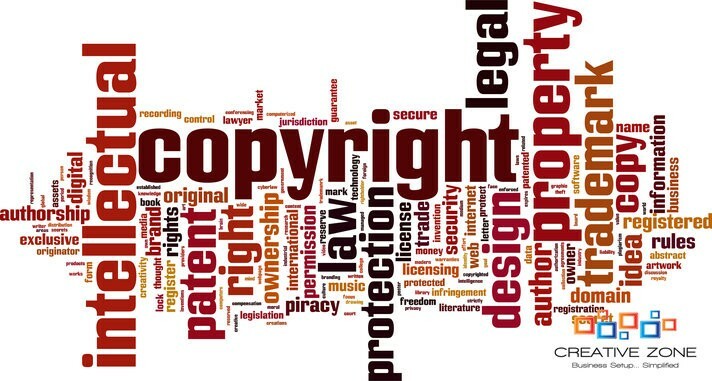 Copyright offers further protection (i.e. artistic and literary works) and this arises automatically on its creation. Whilst there is no need to register copyright, it is worthwhile in the UAE to minimise costs for evidence of entitlement in litigation and to be able to file a complaint in the DED. ‘TM’ should only be used in the UAE once an application has been filed. In many other countries such as the UK, anyone can mark a brand with ‘TM’ regardless of whether a trademark application has been made or not. In all cases, the ‘R’ symbol should only be used when that brand has been registered anywhere in the world. Trademark registrations are long-lasting. Once registered, they last 10 years and can be renewed indefinitely every 10 years. To maintain the registration and avoid a cancellation action from third parties, trademarks should be used in relation to the goods/services covered in the registration and in the form in which it was registered. Copyright lasts the life of the author, plus an additional 50 years. BKSIP was co-founded by Mark Bone-Knell and Kate Symons who between them have experience working in-house for blue chip industrial, government and private equity companies as well as in private practice for leading London IP firms. Mark & Kate established BKSIP to help provide clear, simple and practical IP advice to local and overseas clients and associate firms, along with a promise of communication and service levels not always experienced when dealing with IP companies in the region. BKSIP is licensed by the DED in the UAE for patents, trade marks, designs and copyright advice and protection and if you could like to contact Mark or Kate for more information regarding intellectual property, please email: mark@bksip.com or kate@bksip.com.